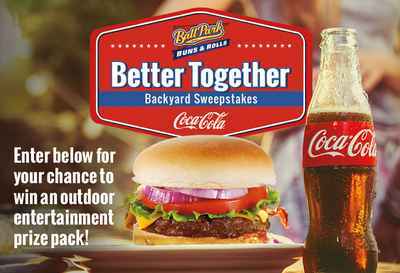 Ball Park Buns brings you the Ball Park Buns Coca-Cola Better Together Backyard Sweepstakes where they will be awarding a 43” outdoor television, an Amazon Echo device, a Ball Park and Coca-Cola branded grill spatula, a Ball Park® tumbler, Ball Park® Buns for one (1) year in the form of (52) coupons to two(2) lucky winners. How To Enter The Ball Park Buns Sweepstakes? During the sweepstakes period go to this link www.ballparkbuns.com/together. Enter this sweepstakes now through July 8 for your chance to win an outdoor entertainment prize pack. 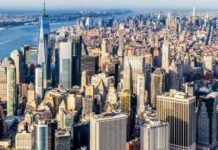 When To Enter: The Ball Park Buns Coca-Cola Better Together Backyard Sweepstakes starts on April 30, 2018 at 12:00 a.m. Eastern Time (“ET”) and ends on July 8, 2018 at 11:59 p.m. ET. Sponsor: Bimbo Bakeries USA, Inc., 255 Business Center Drive, Horsham, PA 19044 and The Coca-Cola Company, One Coca-Cola Plaza, Atlanta, GA 30313. Sweepstakes Prize: The Grand Prize Winner will receive the following (the “Grand Prize”):(2 winners) Each winner will receive a 43” outdoor television, an Amazon Echo device, a Ball Park® and Coca-Cola® branded grill spatula, a Ball Park® tumbler, Ball Park® Buns for one (1) year in the form of (52) coupons, each redeemable for a package of Ball Park® Buns up to $4.00 in value, and Coca-Cola® product for one (1) year in the form of (52) coupons, each redeemable for a Coca-Cola® product up to $4.99 in value. The Approximate Retail Value (“ARV”) of each Grand Prize package: $2,106.48.